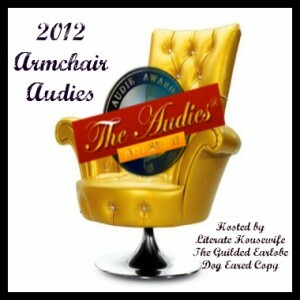 This entry was posted in 2012 Audio Book Challenge, Armchair Audies, Audies 2012, Audio Drama, Audiobook Review, Horror, Zombies. Bookmark the permalink. So….the French woman had troubles falling into her natural accent? Wow…you're totally a qualified reviewer. Good job, Billy! Dude, the French woman is portrayed by an actually French person who was born in France. The Filipino guy is played by a man of Filipino heritage. I don't think you could get more authentic than that. Reviewer's working knowledge of the French accent must be from Peter Sellers films. Way to pay attention. I'll ignore this website in the future. Yep, if Ms Dodin is indeed French, then she had trouble settling into her own accent. There were points at which she sounded like she was trying to be British, i.e. landing a huge “caaahnt” right in the middle of her dialogue in one of the episodes and; in another section. delivering her lines in a small mouth way which made me wonder if she was trying to emulate an Asian accent. Only when Riley's back story is told, does Ms Dodin relax and settle into her character. You can see my response to Ms Dodin's performance above and; I also happen to be of Filipino heritage – which only means that regardless of heritage of the performer or listener, Datu still sounds more Indian than Filipino. Well, everyone seems to be angry about a good review. From the beginning, I honestly pictured Riley as an African woman from one of the many nations that speak French. It turns out I was far off, but that's what she really sounded like to me, and I was a bit disappointed when she wasn't what I pictured. I know a great deal of Filipinos where I live, and not a single one of them sound like Datu. I don't even think it's a problem with sounding authentic, it's more of an issue of fluency delivering his lines. And ethnicity certainly doesn't convey a natural accent. I'm part Inuit and I couldn't do an Inuit accent to save my life. 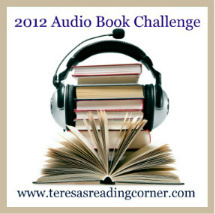 I hate when a narrator's accent draws me out of the story.